When research published in EPJ Data Science journal found that machine learning could help detect signs of depression by examining Instagram posts of study participants, it made international news. Questions surrounding health, privacy and ethics started popping up around the world. “Now, when I am dehydrated, my TV says: Koen, go drink some water. That is something I can’t forget, it is healthcare by default. I have combined technology with my biology to change my behaviour invisibly,” Kas tells MobiHealthNews. 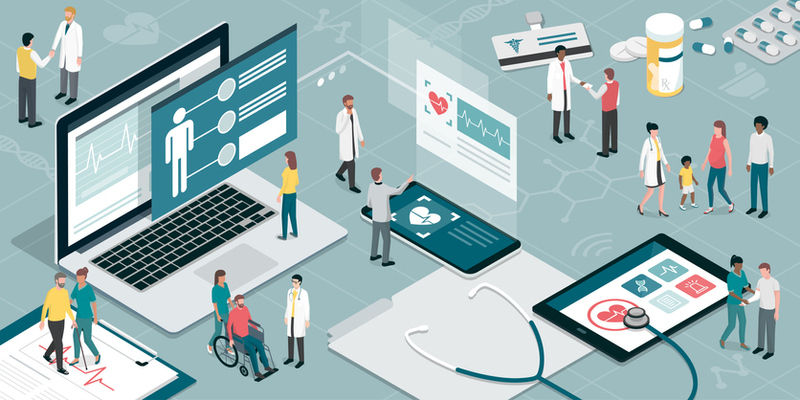 A few weeks ago, Kas and his Healthskouts team launched a database of FDA cleared/ CE marked mobile health apps and devices - currently 144 - for specialists, pharma, hospitals and others. At the HIMSS Liège conference taking place at the beginning of April in Belgium, he will introduce a novel maturity index described as a “Trivago or a TripAdvisor for digital health tools”. Last year, consulting firm Reaktor and the University of Helsinki launched a free online course - called Elements of AI - to help people understand the basics of AI. By September, the University said that nearly 90,000 individuals from 80 different countries had already signed up to study the course, only four months after being introduced, and, according to an article published by POLITICO at the beginning of this year, Finland was now rolling out the “1 percent” AI scheme across the country. “A world that is completely open, where you know everything about me, you know whether I get blind, whether I get Alzheimer’s, whether I get cancer, you know everything about me. Radical transparency. We are not there yet. And maybe we will never get there,” he says. "And therefore we might present an alternative for that at the Helsinki [HIMSS & Health 2.0 European conference taking place in Finland in June] stage." MobiHealthNews is a HIMSS Media publication.